Dogs and puppies are really good at interpreting human vocal and visual cues, with previous studies already showing they can pick up even subtle hints, finding hidden food with just a slight look from a human. Researchers of the Max Planck Institute for Evolutionary Anthropology in Leipzig, Germany, have now studied for the first time whether dogs can locate hidden food based on vocal hints alone. The experiment was fairly simple: the experimenter was behind a barrier, presenting two identical boxes to dogs and puppies. Just one of the boxes contained food. Hidden from the dog’s sight, the experimenter vocalized energetically towards the box with the hidden food, to see if the dog picks up on the hint to find the food. Dogs showed a clear affinity towards the auditory cues, with puppies doing ever better than grown dogs. The researchers conclude that dogs do not rely on visual cues only, but on a combination of human communicative hints – something which may have become part of their genetic makeup during thousands of years of domestication. 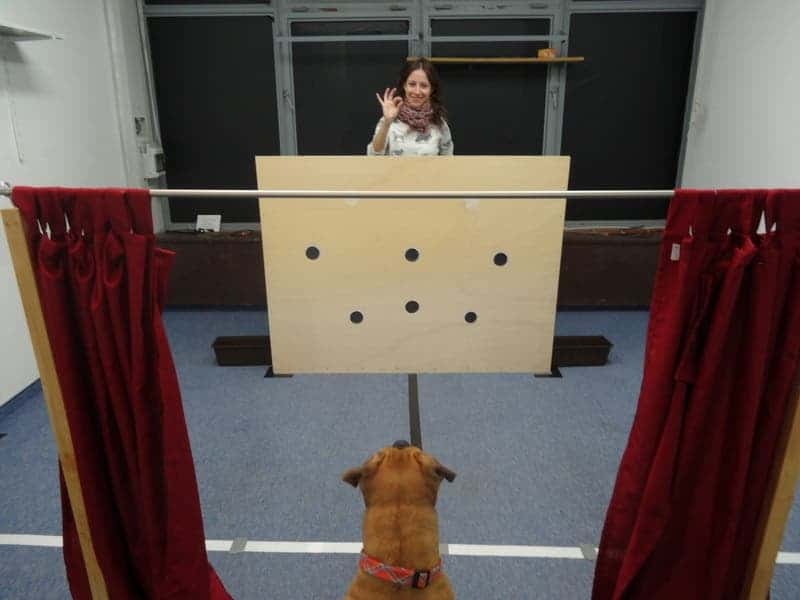 “Most of the dogs successfully and repeatedly followed the experimenter’s voice direction to find the hidden food”, says Federico Rossano, lead researcher. “They performed as well in this task – if not better – than human infants.” In a follow up study the researchers ruled out the possibility that dogs could locate the hidden food just via smell. The interesting thing to note is that wolves, dogs’ closest relatives, don’t pick up on these cues – so this is not something which dogs developed on their own, but something they picked up as a result of their long-standing relationship with humans. Chimps also don’t pick up on these cues. For dogs, this probably evolved as a natural result of evolution – dogs who were better at reading human cues had a much better time in human society. “Dogs may have been selected for their ability to pay special attention to humans”, says Rossano. “This set of social skills may have become part of their genetic repertoire”. Also, another interesting aspect which hasn’t been fully explained yet is that puppies did significantly better than grown-up dogs.